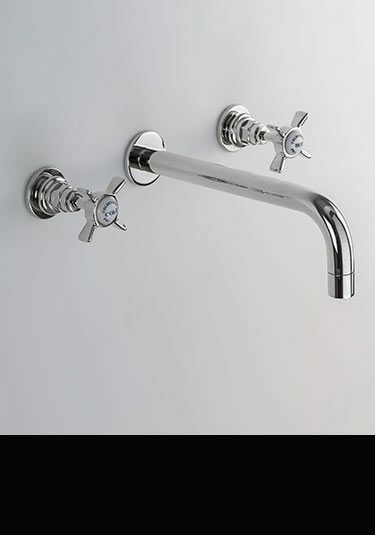 Livinghouse offer over 45 different styles of wall mounted basin taps and wall mounted bath taps in traditional and contemporary designs. 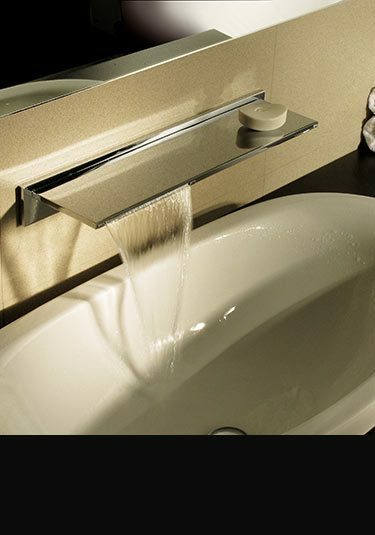 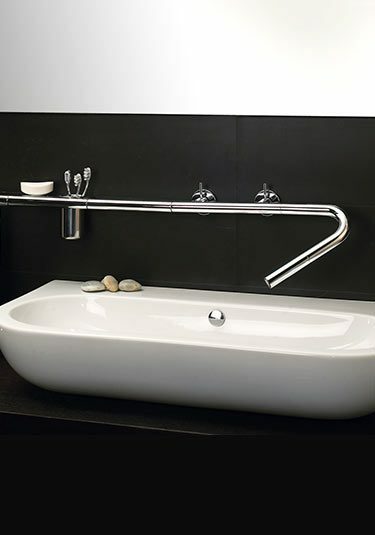 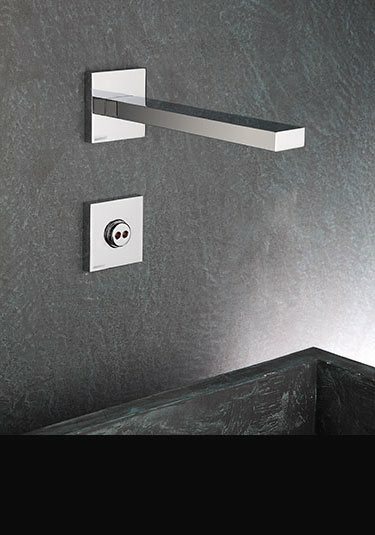 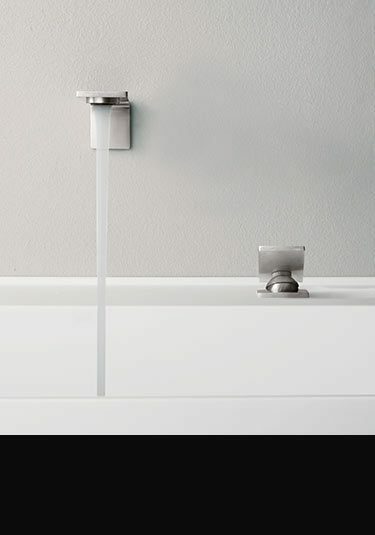 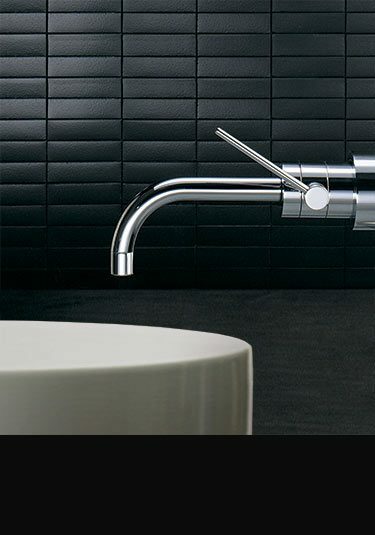 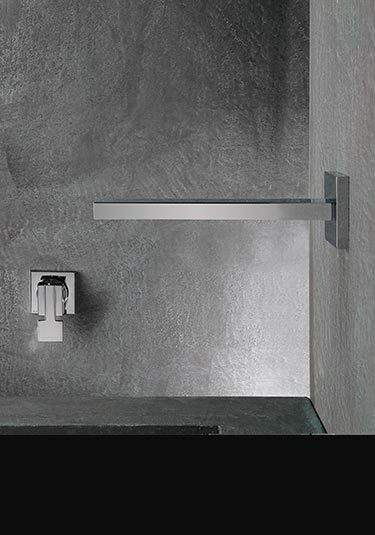 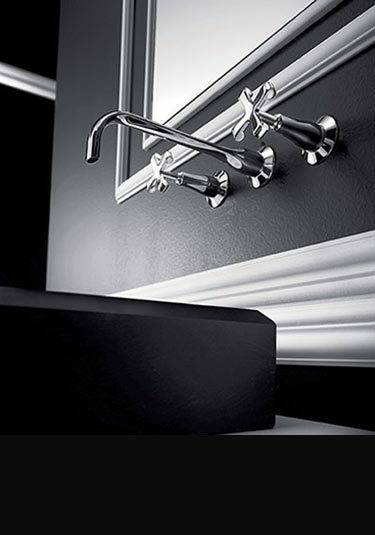 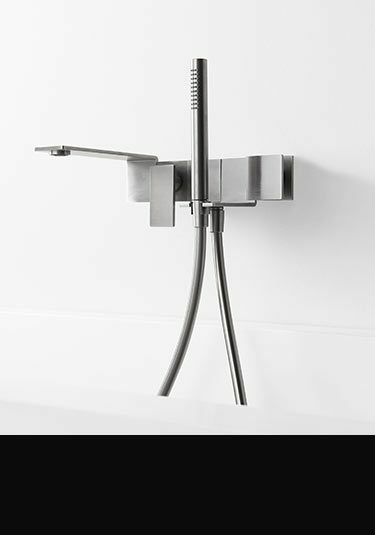 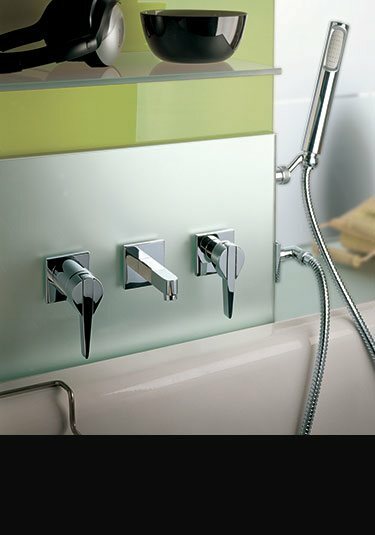 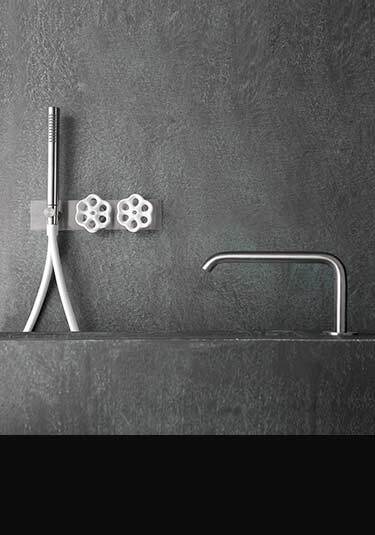 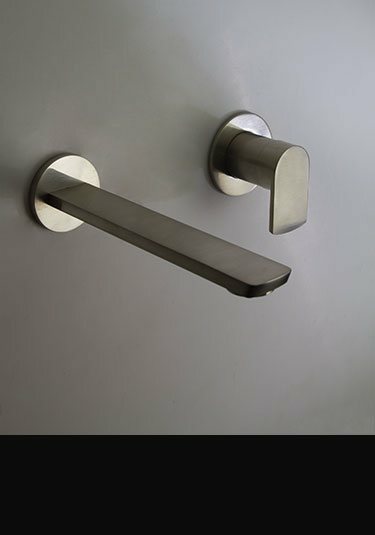 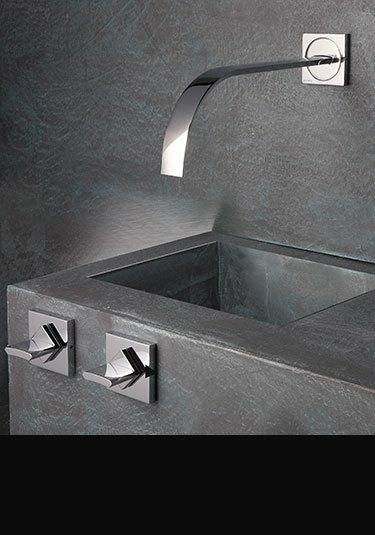 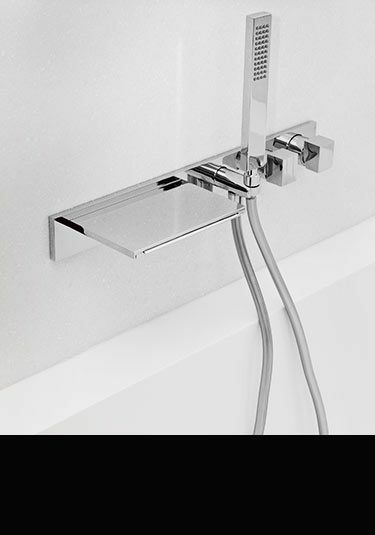 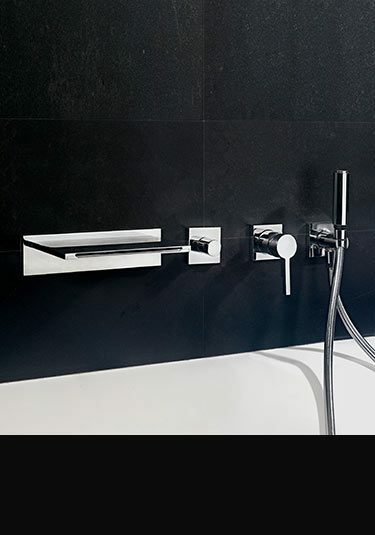 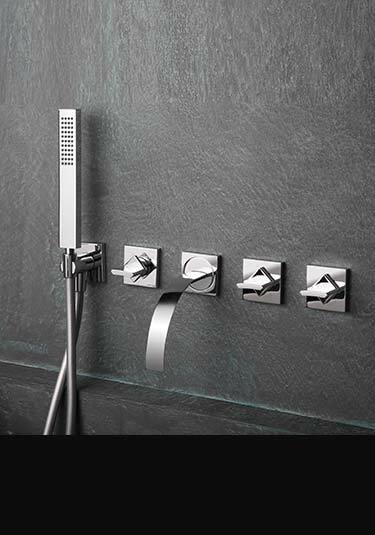 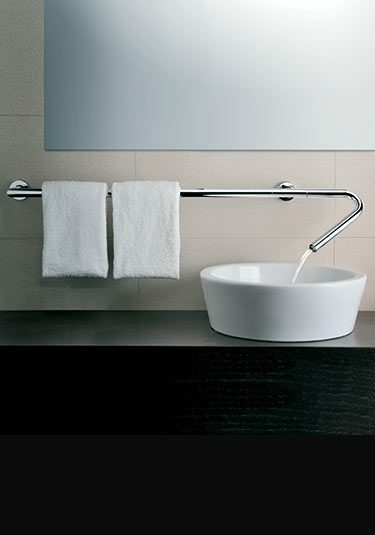 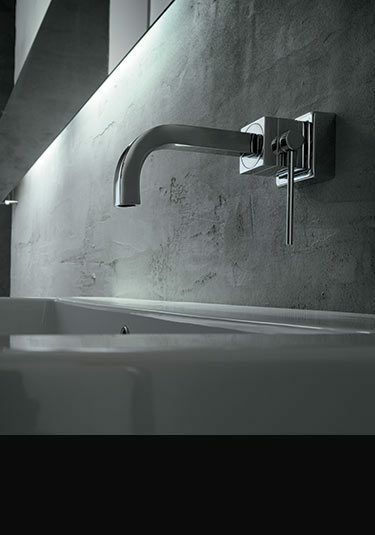 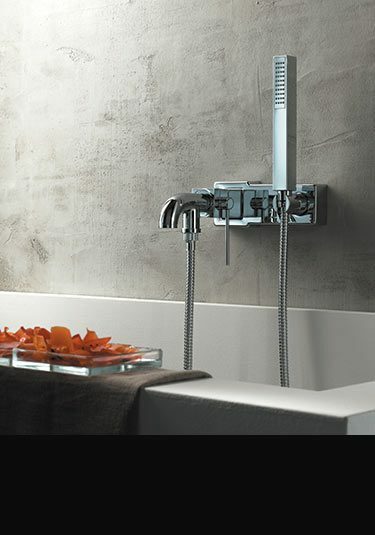 Our bathroom wall taps are superb European manufactured quality and in the latest Italian and German styling. 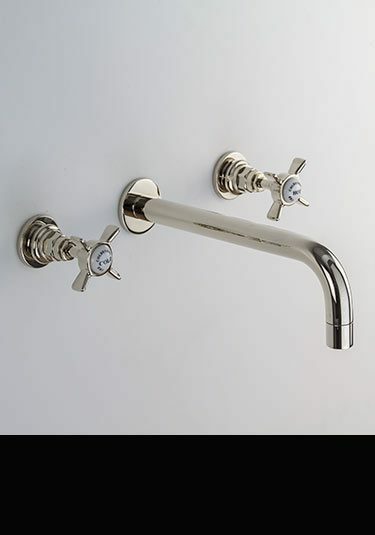 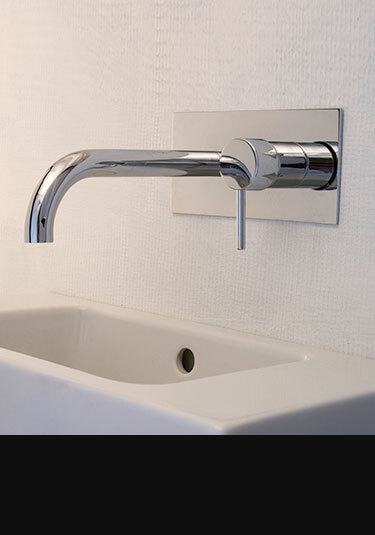 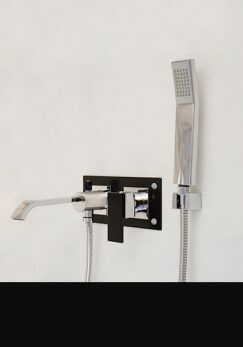 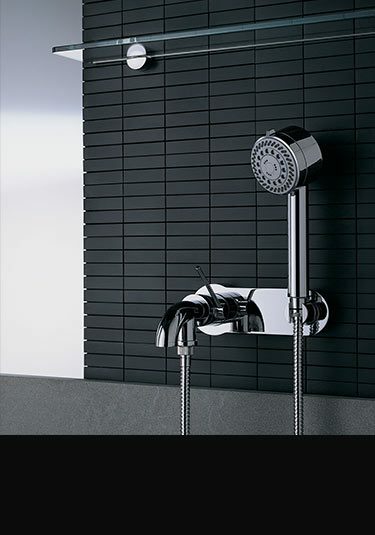 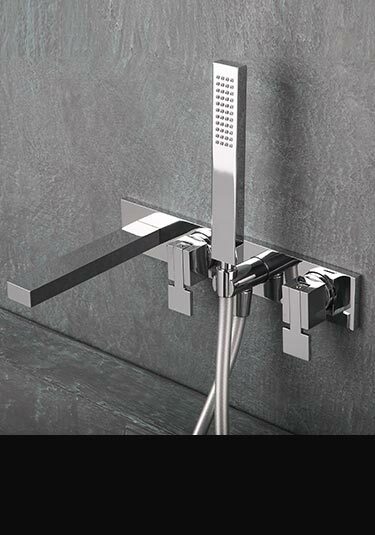 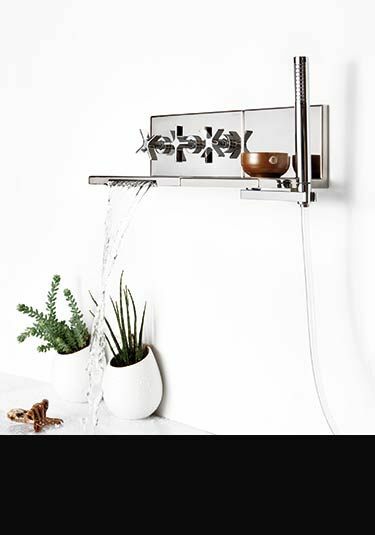 We supply all the different types of wall mounted taps to suit different bathroom styles including 2 piece hot and cold taps, 3 piece taps which includes a wall spout, 4 piece taps sets which includes the hot and cold bath taps with handheld shower head attachment and diverter valve. 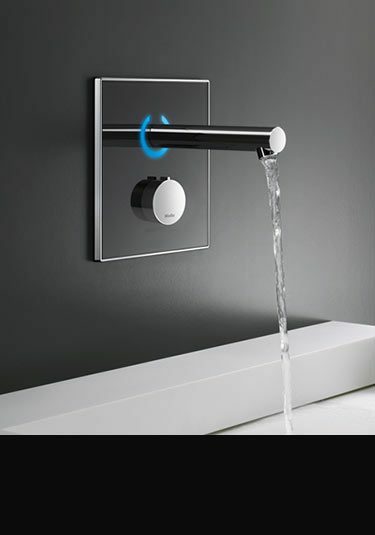 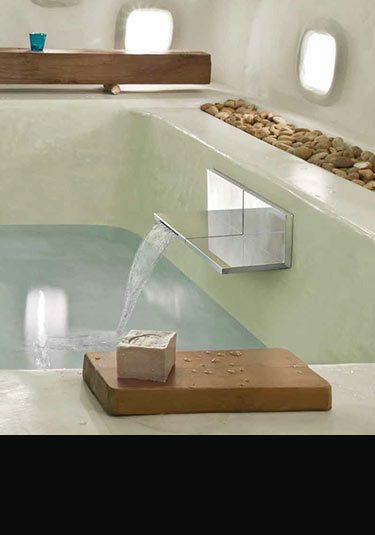 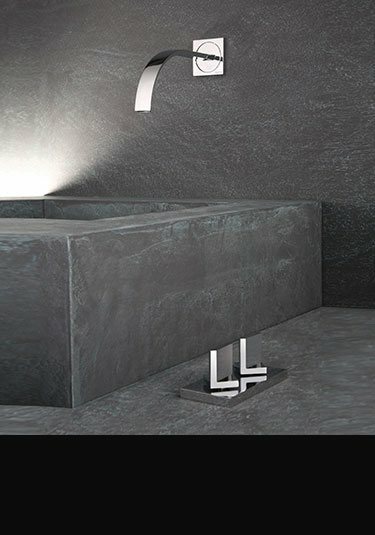 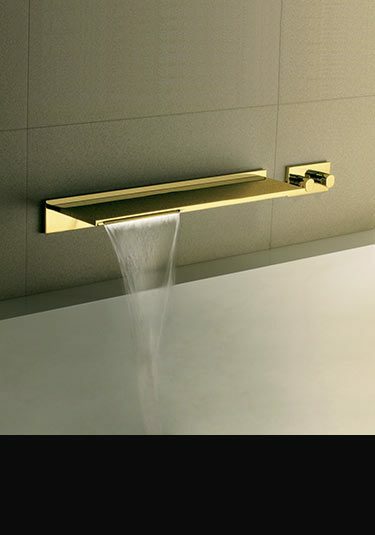 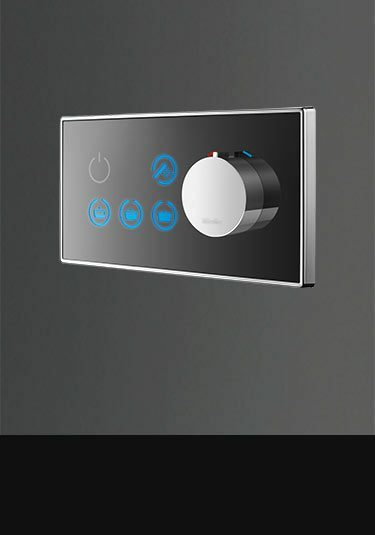 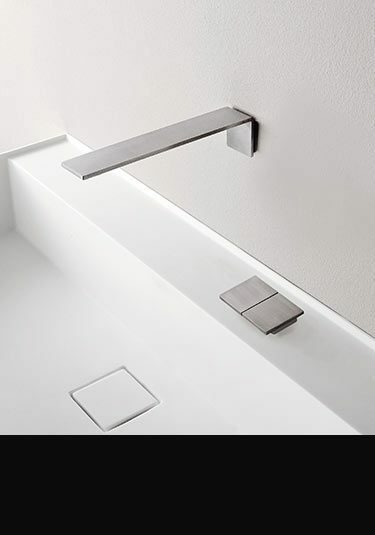 We even offer exclusive designs of waterfall taps and wall spouts, and using the latest modern technology sensor taps which use infrared for automatic activation with versions available for baths and basins. 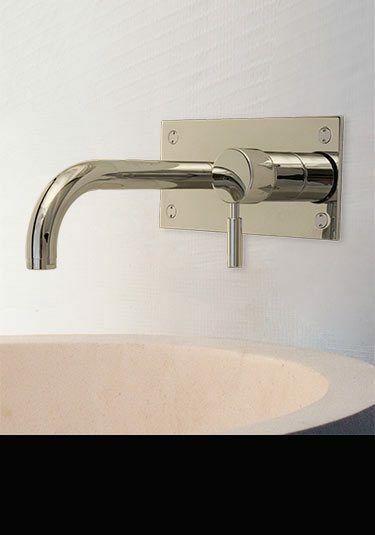 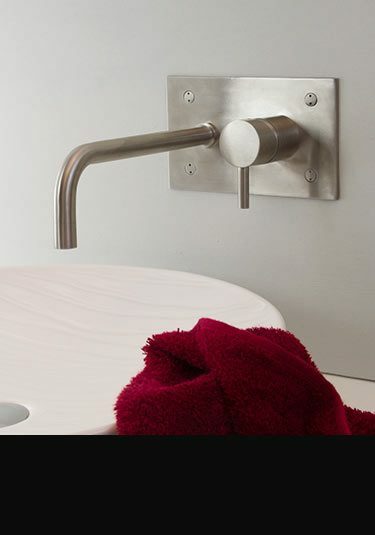 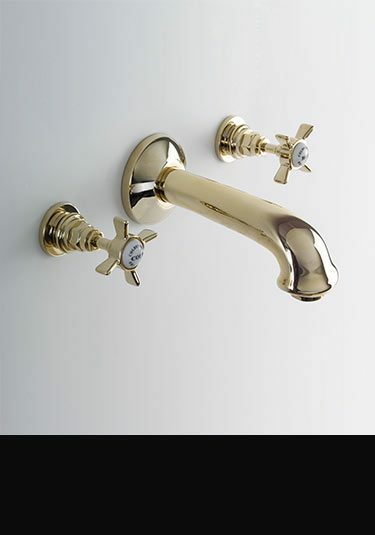 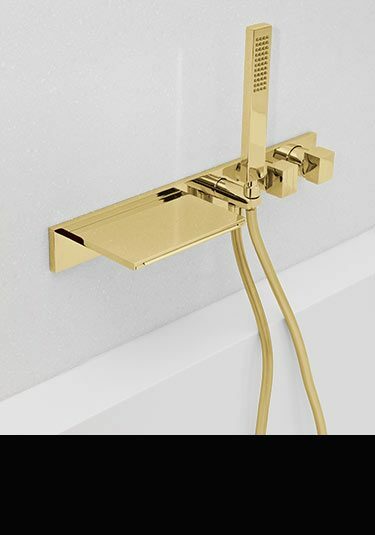 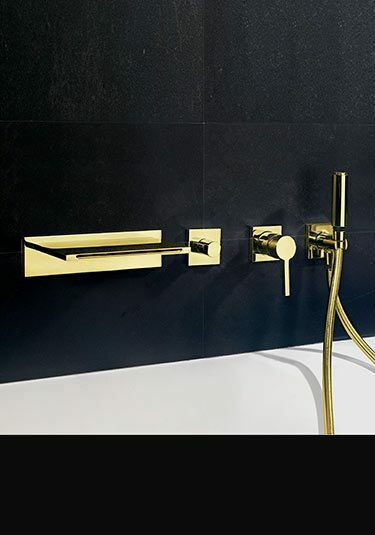 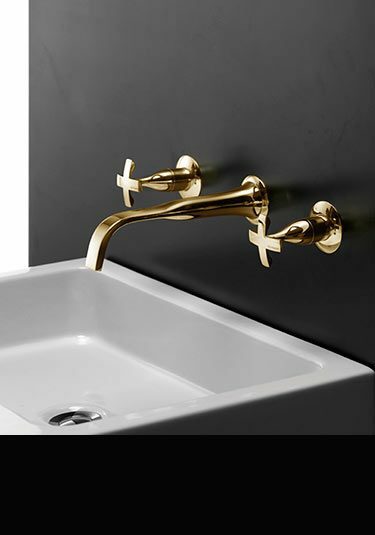 Our wall mounted taps are supplied in many plated finishes including chrome, gold, nickel and copper all onto a solid brass body plus we also offer the luxury finishes of brushed stainless steel and antique brushed brass. 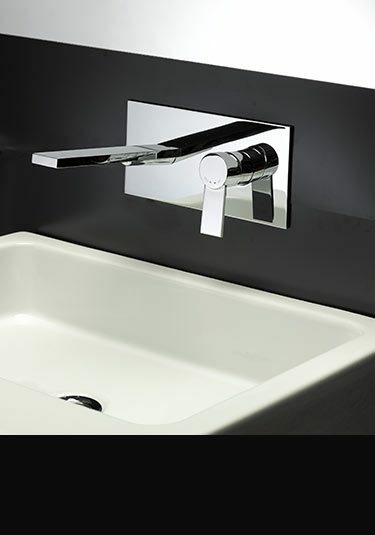 So if you would like to finish your bathroom design using the best quality taps, in the latest traditional and modern styling, in a finish of your choice Livinghouse can fulfil your selection. 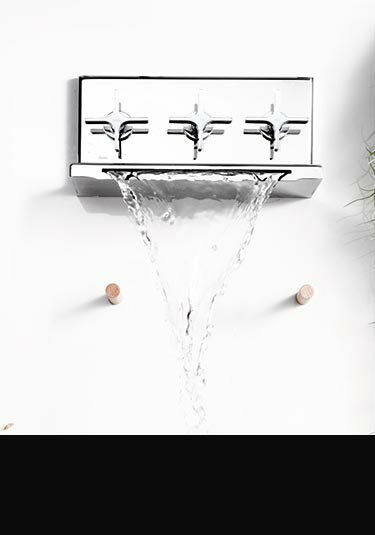 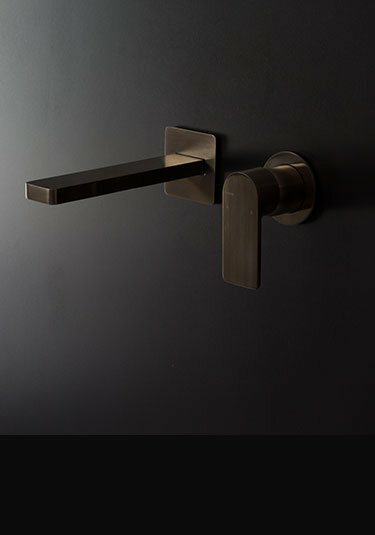 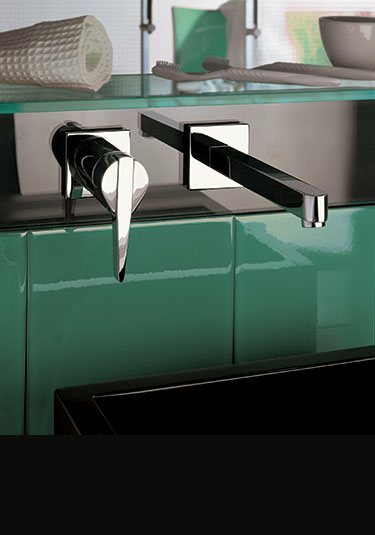 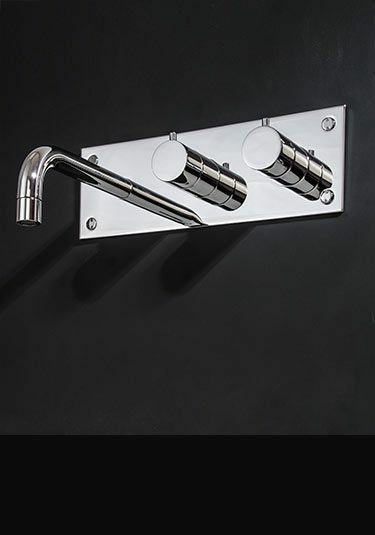 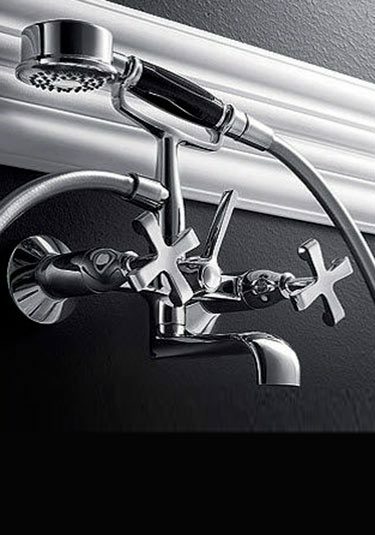 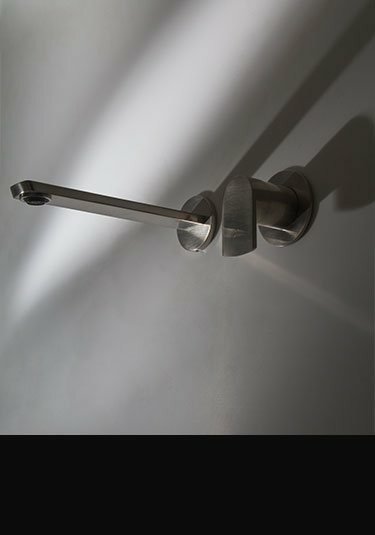 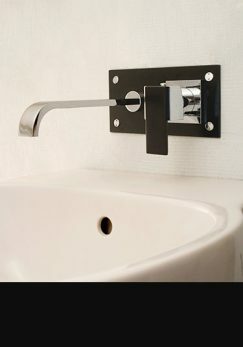 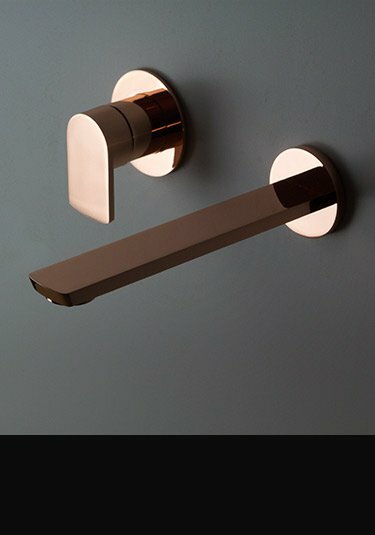 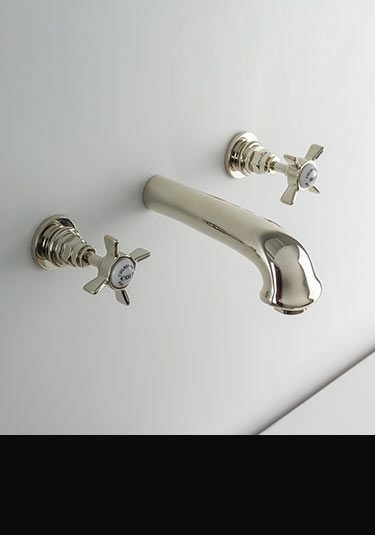 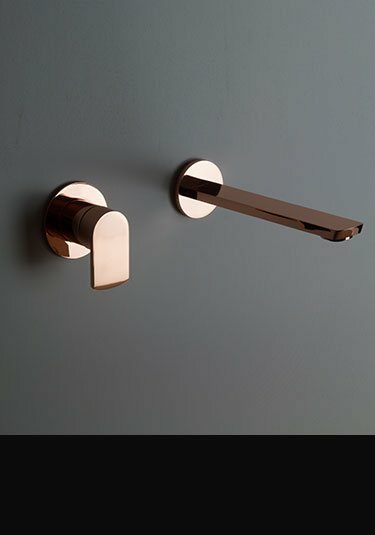 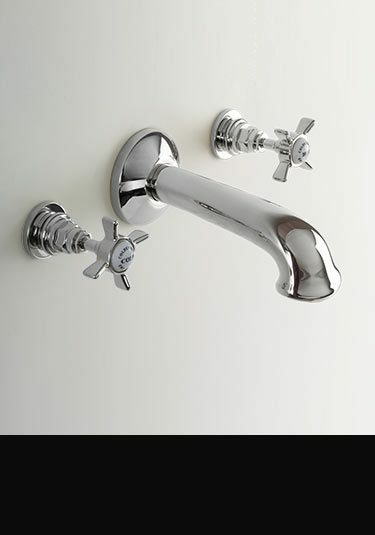 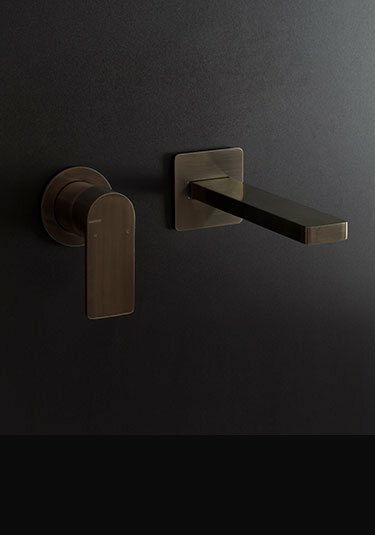 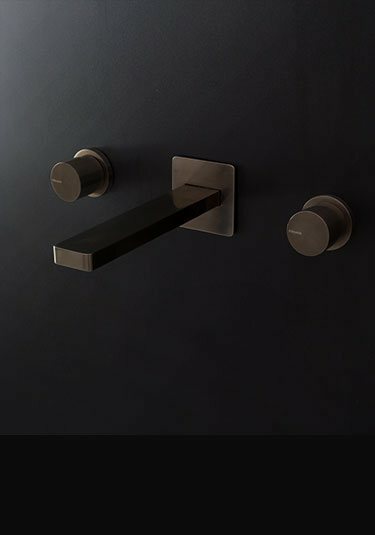 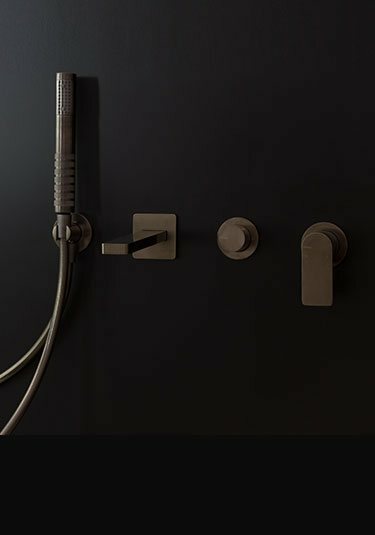 Unique brushed or polished chrome finish, these contemporary 3 piece wall mounted taps are the latest in Italian styling. 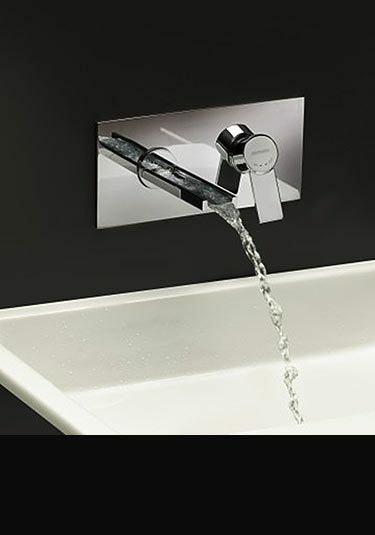 With a central square cubic wall spout, matched with hot and cold wall tap valves, this unique brassware cannot help to ooze exclusive modern styling. 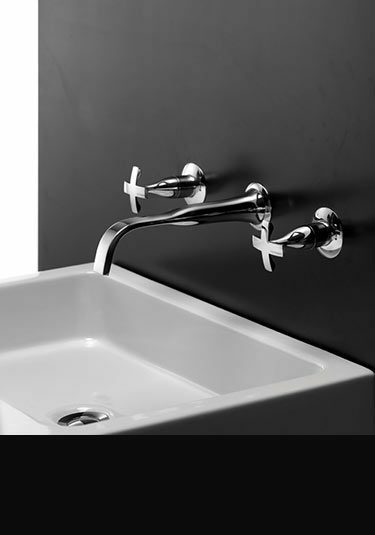 Contemporary Italian styling, this black chrome 2 hole wall mounted basin tap set is available in both polished and brushed black chrome finishes. 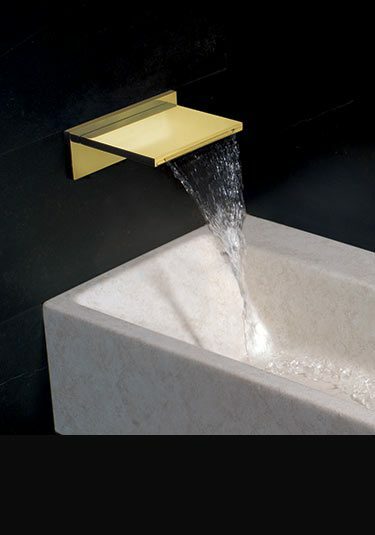 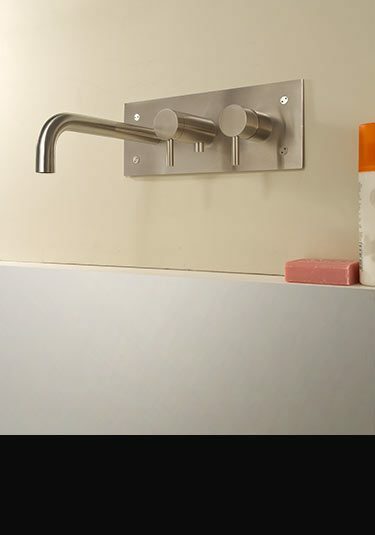 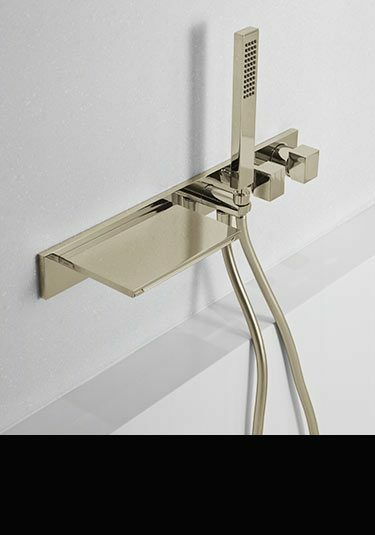 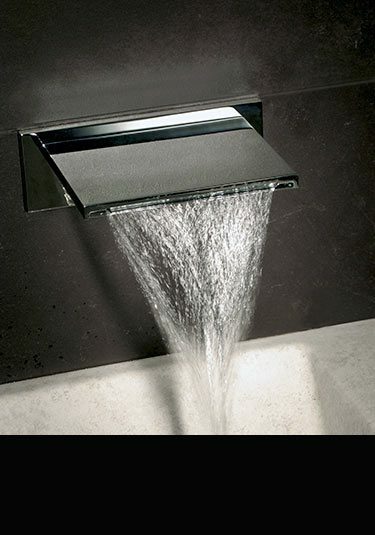 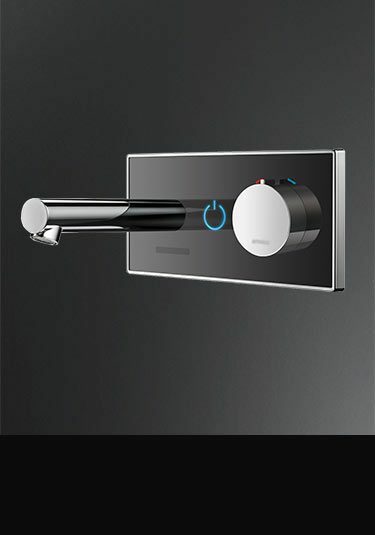 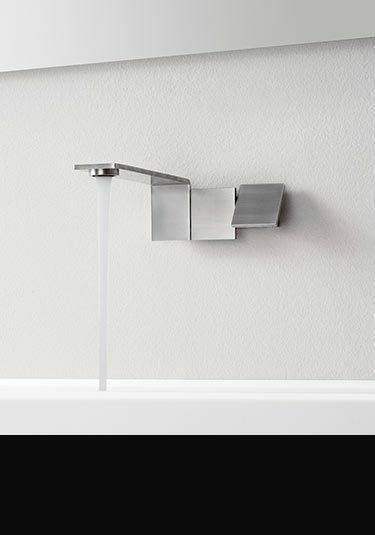 The cubic wall spout is operated via a single lever mixer valve for easy water mixing of hot and cold water.